Work for economic self-sufficiency is a fundamental human right. However, in many parts of the world, because of political and social upheavals, this right remains unrealized. 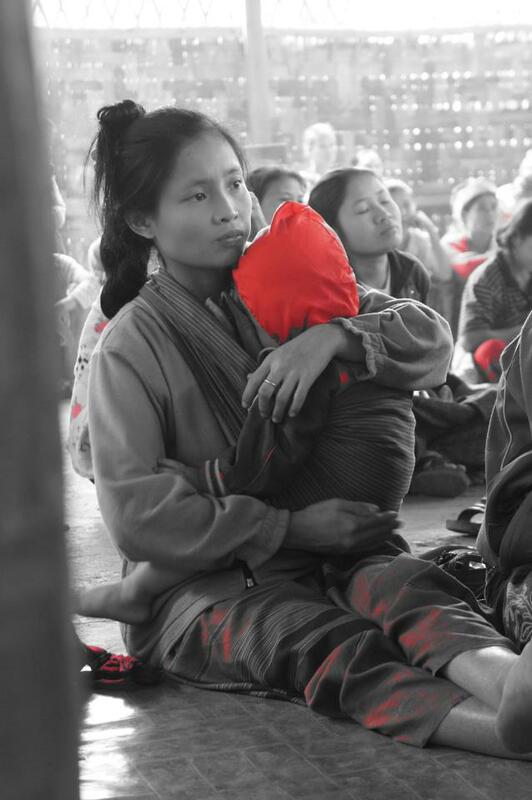 While all who lack this right suffer, women and children are mostly affected. To support women in their efforts to respond their economic rights as well as other rights, Women’s Education for Advancement and Empowerment (WEAVE), a nonprofit non-governmental organization (NGO), was established in 1990. It’s mission is to empower refugee, displaced and disadvantaged ethnic women from Burma living in Thailand along the Thai-Burma border, by expanding their power, rights and opportunities. WEAVE carries out its mission by striving to educate women and strengthen their efforts towards social and economic self-reliance enabling them to fully participate in the development of their families and communities. The name WEAVE was chosen precisely to highlight the nature of the organization – it was a venue of support that offered women an alternative to their needs and their children as well as WEAVE’s strong emphasis on meaningful safe and fair work, weaving, for women. But in keeping with the spirit of the time, the acronym was also chosen because the organization’s goal is to empower women. In 1994, WEAVE’s mission became more specific as it developed a partnership with refugee women’s organizations. In 1990, waves of refugees came to Thailand, along the Thai-Burma border, where the Thai government provided temporary refugee camps. In addition, international NGOs provided for the most immediate relief needs of the refugees – food, clothing, shelter, and health. Among the major problems these groups identified were education, health, and, especially for the women, economic self-sufficiency. The refugee women along the Thai-Burma border, some since 1994, are from various Burmese ethnic groups. These women, together with their families, have sought refuge in Thailand because of the political instability and human rights abuses carried out by Burmese military. In 1990, the Burmese military consolidated its powers, closing the international community’s door to Burma. At the same time, pro-democracy activists fled to the bordering countries and the military perpetrated different forms of human rights abuses and atrocities: closing schools, demonetizing the currency, and fighting ethnic resistance groups in the hinterlands. 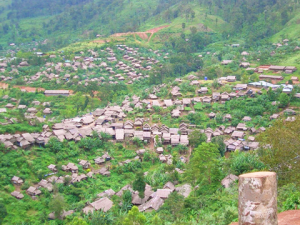 In ethnic areas, the military have forced people – especially the poor, farmers, and men and women from ethnic areas – to flee their homes, becoming internally displaced persons (IDPs) within Burma. They don’t have food, health care, and medicine. Some IDPs hiding in the jungle died from hunger and poor nutrition, as well as preventable and curable diseases. Others died from walking on landmines or being caught in crossfire. Always, IDPs have been in constant fear of being attacked or captured by the military. Many IDPs have fled Burma, becoming refugees in Thailand. The economic oppression in Burma — caused by the displacement of families from land, high taxation, and severe poverty — has led to additional refugees to Thailand. Because of the trauma of all this oppression and the additional trauma of displacement – living in camps and facing an uncertain future — these refugee women suffer from various physical and mental illnesses. In particular, malnutrition and domestic violence are pervasive. These symptoms are exacerbated by the lack of meaningful work leading to economic disempowerment of women. It is estimated that approximately 150,000 people are in refugee camps and from 1.5 to 3 million are migrants within Thailand. Throughout its 24 years of existence, WEAVE has sought to empower women through the encouragement of meaningful work that leads to economic self-sufficiency. 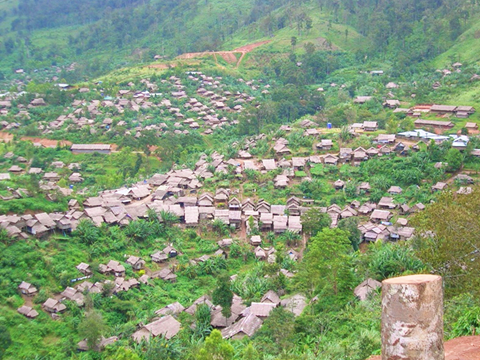 In some of the Burmese refugee camps, WEAVE has identified three informal economic niches that lead to such self-sufficiency. In the first niche, some of the refugees — both men and women — have small businesses, such as provision shops, food stalls, tailoring, and handicraft shops. In the second, some of the refugees work outside of the camps, but they are usually underpaid for their work compared with the local Thai. In addition, the amount of such work is restricted by the Thai government and usually limited to seasonal agricultural work. In the third, international NGOs that carry out health and rehabilitation work in the camps employ refugees as health care workers, sanitation workers, teachers, and translators. But for this third niche, given the uncertainties of refugee life, refugees have an underlying fear that once the NGOs pull out of the camps, they will lose their work and capacity to earn income. WEAVE has targeted the first economic niche—supporting refugee women through vocational training in sewing, embroidery, and weaving to have source of livelihoods. For all these forms of handiwork, WEAVE encourages women to create designs that reflect their own ethnic culture. 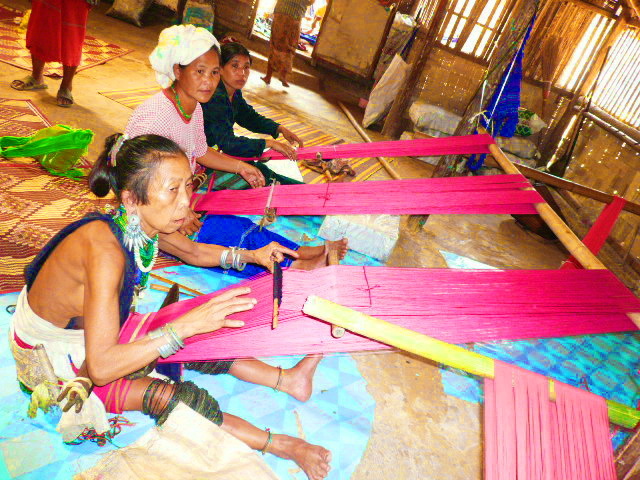 WEAVE also tries to identify markets for some of the handiwork, in partnership with the various NGOs for ethnic women inside and outside of Thailand. By providing refugee women with sources of alternative livelihoods that is meaningful as well as safe and fair employment under Fair Trade Principles — WEAVE empowers refugee women. This empowerment enables the women to supplement the family diet with vegetables, fruits, and meat; to deal with gender-based violence in the home; and, through the confidence this empowerment gives them, to take on leadership roles in their families and communities. WEAVE, as part of its emphasis on economic self-sufficiency, focuses on capacity development. Such development attempts to (1) build women’s abilities through project management and (2) provide women with the opportunities to acquire knowledge of and skills in microfinance, marketing, and product line management. Finally, WEAVE provides groups of refugee women with small funds to support them in their striving for economic self-sufficiency. ← Why Early Childhood Intervention is important?